While on an adventure at our locally owned home improvement store this weekend, Mama and I fell in love with this gorgeous flower in their nursery. Though we haven’t planted it yet, we keep coming back to visit this massive, fantastical bloom, which feels like it’s straight out of Alice’s Wonderland. 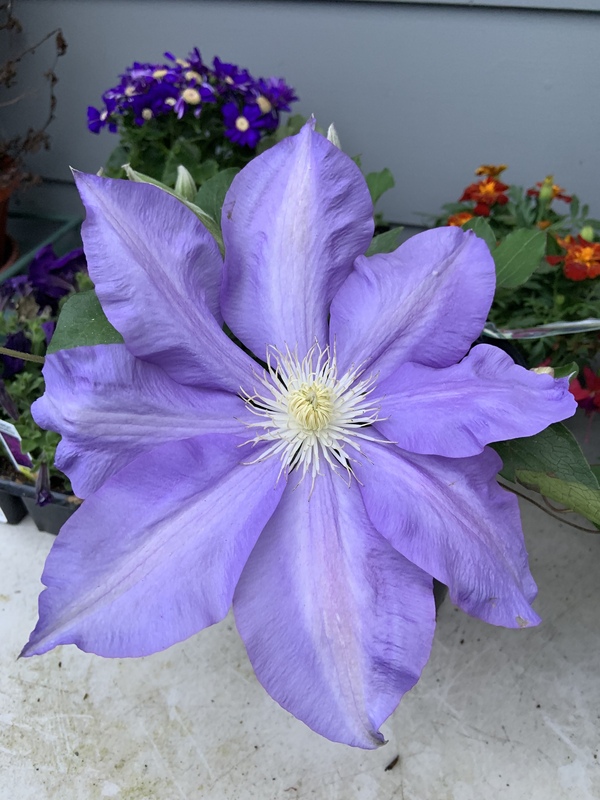 Today’s #OneGoodThing was enjoying this magical looking Clematis flower with Mama! What was your #OneGoodThing today? Please share in the comments! Day 97 of 365. And Day 1,193 in a row (here’s the first 366, & the following 365, & the third year of 365 good things)! 3 years ago today: My first SOLO jab!